Based upon our experience, there are fewer key collectible picturebooks on the online market than a year ago, continuing a trend we have seen over the past couple of years. Try a search on any of the metasearch book finding websites, such as ABEBooks, Addall, Bookfinder, or the ABAA, for first edition Caldecott Medal books, or Beginner Books, or I Can Read Books, or Seuss books. Sort the results from high price to low price (the thought being the high priced books would most likely be first editions), and see how many books turn up. The results will show that many first edition books are not currently being offered for sale. We publish a search for the first twenty Caldecott Medal books three or four times a year (we perform the search monthly, and publish it less frequently). We last published the survey in February, and the results were a bit eye opening. For the first twenty Caldecott Medal books, in first edition format, seven of the titles were not being offered for sale! We found only 27 individual copies for sale, with four copies of 1952 winner The Biggest Bear being offered (several incorrectly I suspect, since the $2.75 price on the DJ flap is required to identify a true first printing). If one were to extend the search to cover all of the seventy Caldecott Medal books, perhaps as many as 15-to-20 would not be for sale on the market as first edition books. In a world in which money can buy nearly everything, it could not buy a complete set of first edition Caldecott Medal books! Given the proper monetary motivation, a book scout could probably find and purchase a complete set of first edition Caldecott Medal books. Probably. 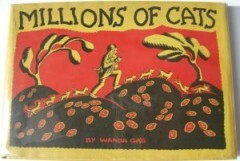 It would take upwards of a year, even for the well connected book scout, and cost $60-to-$80,000 (in the Children’s Picturebook Price Guide, we value the set of first edition Caldecott Medal books at $52,000 in Very Good plus condition). Try searching for key early franchise books from such staples as Curious George, or Madeline, Harold and the Purple Crayon, or Babar. The first edition books are not available. 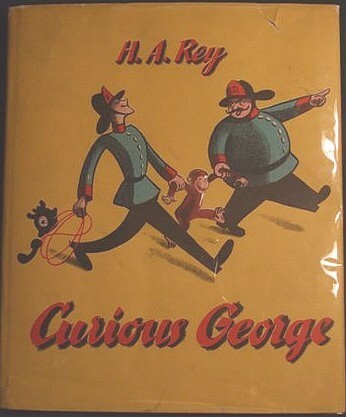 A key example is a first edition Curious George. One has recently surfaced for sale, and will be auctioned inJuly by PBA Galleries. It is very likely to reach $10,000, however some have thought as high as $20,000! There are no auction records for a first edition Curious George, and it’s been seven years since one has surfaced for sale. Try searching for specific illustrator books, such as Marjorie Flack or Robert McCloskey, or Jean de Brunhoff, or Wanda Gag, or Virginia Lee Burton, or Roger Duvoisin, or Hardie Gramatky, or Lois Lenski, or the d’Aulaire’s, Petersham’s, or Hader’s. 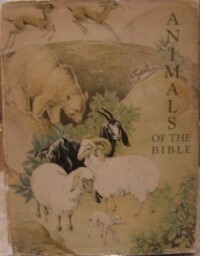 The more common first edition books are found for sale, however the scarcer editions are not surfacing on a regular basis, if at all. The first edition books exist, however they exist somewhere in collector’s bookshelves, and are nowhere to be found in booksellers’ inventory. Market values will have to rise in order for the supply of key first edition books to surface. This seems counterintuitive. Key first edition books have been absorbed by collectors, or could be in bookseller’s inventory, yet are not surfacing for sale. As prices in the market rise, some of these books will become available for sale. We’ve seen a slight increase in values since our initial price guide was published, and the next edition (due in early 2008) will reflect this marginal increase. However, the price guide will only reflect the prices in the market, and cannot be anticipatory of where prices might escalate. As the bookselling public becomes better informed of the values of key children’s books, and the knowledge slowly seaps into the conscious of the general population, more first edition books will surface. We hope. Although it does not impact your general observations (which I agree with) I wanted to point out that the results from Addall will not necessarily show all the most valuable books in the way that you may expect. When sorting on Addall by price/descending the result will indeed have more expensive items at the top, but the books that are chosen in the first place will, with a few exceptions, be the 100 least expensive books from each site. When there are lots of matches, the most expensive books will be ignored. (Bookfinder, of course, does not allow price sorting at all, but still starts from the bottom when selecting what to show). Addall: 8 matches $1000 or more. viaLibri: 40 matches at $1000 or more. Addall: 139 matches at $1000 or more. viaLibri: 344 matches at $1000 or more. Leave off the frequently unreliable first edition filter and the discrepancy will be even greater.